Rep. Michele Bachmann, R-Minn., was accompanied last March in Washington by Tea Party Patriots National Coordinator Jenny Beth Martin, National Coordinator, left, and Lisa Nancollas of the Pennsylvania Tea party Patriots, as they spoke against the the constitutionality of President Barack Obama's health care overhaul. WASHINGTON — The tea party movement has been nearly invisible in the intensive lobbying campaign over the “fiscal cliff,” even as Congress and the White House debate the issues of government spending and national debt that are at the core of the movement’s identity. In many ways, the tea party was made for this moment. The grass-roots opposition to President Barack Obama’s agenda that arose in 2009 has been so focused on fiscal concerns that leaders once prevented speakers at tea party rallies from even discussing abortion and other social issues. And in fact, it is the tea party that helped bring the country to this moment. The automatic spending cuts at the heart of the year-end fiscal cliff grew out of the tea party’s fierce campaign last year to slash federal budgets and cap government borrowing. Yet as groups across the political spectrum seek to influence any deal to avert the cuts and tax increases set to kick in Jan. 1, the tea party has been unusually — and deliberately — quiet. Members still call and e-mail Congress but have held no rallies and done little lobbying. When tea party leader Jenny Beth Martin recently journeyed to the Capitol from her Atlanta area home, for example, she did not bring with her the busloads of tea party members who once descended on Washington to rally for fiscal restraint. As she toured the offices of several Republican House members, Martin barely brought up the fiscal cliff negotiations that could chart the nation’s budgetary future, according to Martin and congressional aides. Her focus instead? Fighting over spending at the state level. “We’re sitting back” on the fiscal cliff, said Martin, co-founder of Tea Party Patriots, the nation’s largest tea party group. Republicans in Congress, she said, “have proven they’re not going to listen to us,” adding that House Speaker John Boehner, R-Ohio, is a “caveman” for his willingness to consider tax increases. Tea party activists say they feel despised by Democrats and ignored by Republicans, and they still resent the blame they received for last year’s debt ceiling crisis, in which tea-party backed lawmakers demanded deep spending cuts in return for increasing the federal borrowing limit and helped push the nation to the brink of default. Indeed, the ideas advocated by the tea party — which helped propel concerns about federal spending and borrowing to the forefront of the national debate and fuel 2010’s Republican sweep of the House — still resonate in the GOP. An example, said conservative strategist Keith Appell, was the failure last week of Boehner’s “Plan B” legislation to avoid the fiscal cliff, which was doomed when conservative Republicans in the House declined to endorse a tax increase even on millionaires. “The tea party vision for fiscal sanity is still very powerful in Washington,” said Appell, senior vice president at CRC Public Relations in Alexandria, Va. Some tea party allies view its lack of D.C. presence as a sign of weakness for a movement that has been searching for a new path, especially since Obama’s reelection. 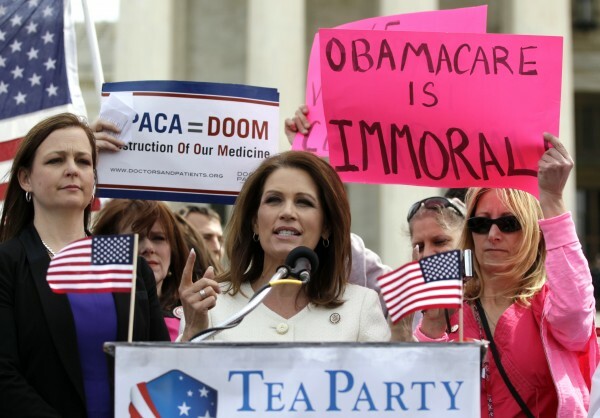 That is a far cry from the tea party’s halcyon days, when members flocked to D.C. rallies against Obama’s health-care overhaul and what they considered excessive spending. During last year’s dispute over the debt ceiling, tea party members called for a government shutdown during a rally at the Capitol. The debate ultimately produced a deal to raise the borrowing limit but also set up automatic cuts, which are part of the fiscal cliff. As a result, during her recent visit to the Capitol, Martin talked mostly about state issues during meetings with Republican congressmen including Tom Price, Ga., Steve Scalise, La., and Phil Gingrey, Ga. She said her group is “paying attention to the fiscal cliff but mostly just watching,” and is instead working on fighting Obamacare in the states and on various state and local fiscal issues. Joe Dugan, a South Carolina tea party activist, is focusing on a tea party convention that will be held in his state in January. He will send Congress a documentary of the event but has no plans to lobby over the fiscal cliff. FreedomWorks, a D.C. conservative group aligned with the tea party, says it is closely following the fiscal cliff debate and has a full-time staffer meeting with Republican members of Congress to urge steps such as extending current tax rates and reforming entitlement programs. Dean Clancy, the group’s legislative counsel, declined to name the members but said FreedomWorks is in touch with the staffs of Boehner and House Majority Leader Eric Cantor, R-Va. It is also writing frequent blog posts about the negotiations. The activists, he added, have no plans to come back to Washington as the negotiations proceed.